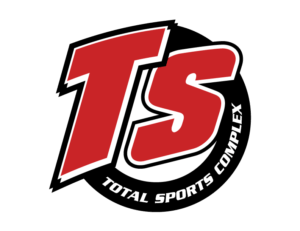 Total Sports Farmington was purchased and opened in 2013. 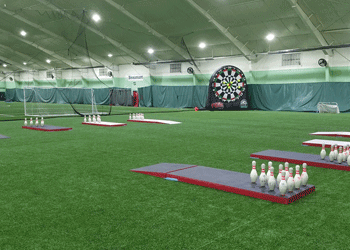 The facility has 60,000 square feet under roof and features two 7v7 turfed fields, softball and baseball training tunnels and open training areas available for warm-up, practice and a variety of activities. 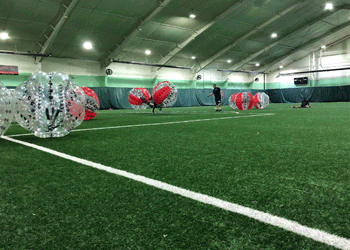 Farmington is known for hosting Total Sports “alternative” sports and events – knockerball, foot darts, archery tag, badminton and birthday parties. Farmington hosts nearly 125,000 visitors annually.